Last year, during another of my annual pilgrimages to Edinburgh in order to enjoy some of the silly-season’s festivities, I did what I always do not long after I arrive – that is, to pay nothing short of a small fortune to board the Edinburgh Wheel at Princes Street Gardens and, make three full rotations before being booted-off. (One has to laugh, I suppose.) However, though I utterly begrudge the abusing of the general good-nature and festive-charity of the average, joy-seeking tourist, I can’t complain one bit when I have come away with a few frames that I couldn’t possibly have got, without having been royally fleeced, beforehand. So, here are my two chosen frames from inside my pod at the very top of the slowly rotating Ferris-wheel – looking out first over Princes Street Gardens, Waverley Station and towards the Royal Mile, and secondly, through the car’s rain-smeared window at the Scott Monument and along Princes Street itself. In a nutshell? For me anyway, worth every bloody penny! 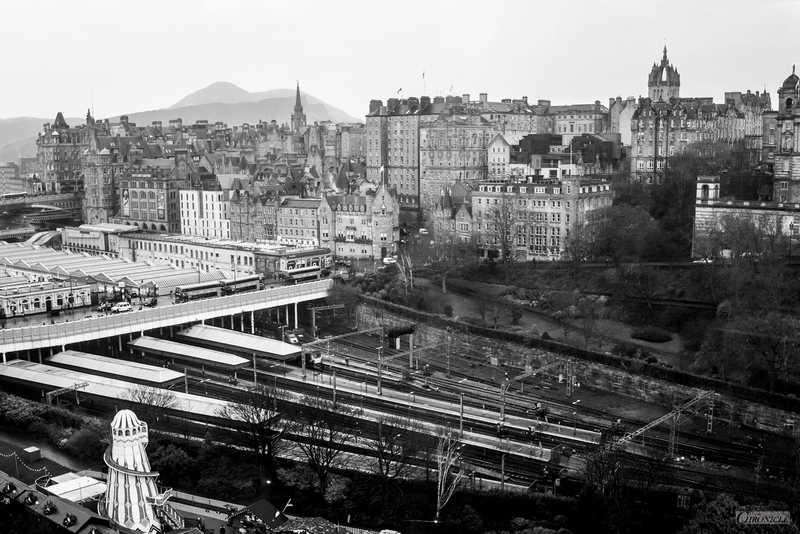 I | Princes Street Gardens, Waverley, Royal Mile | 35mm. 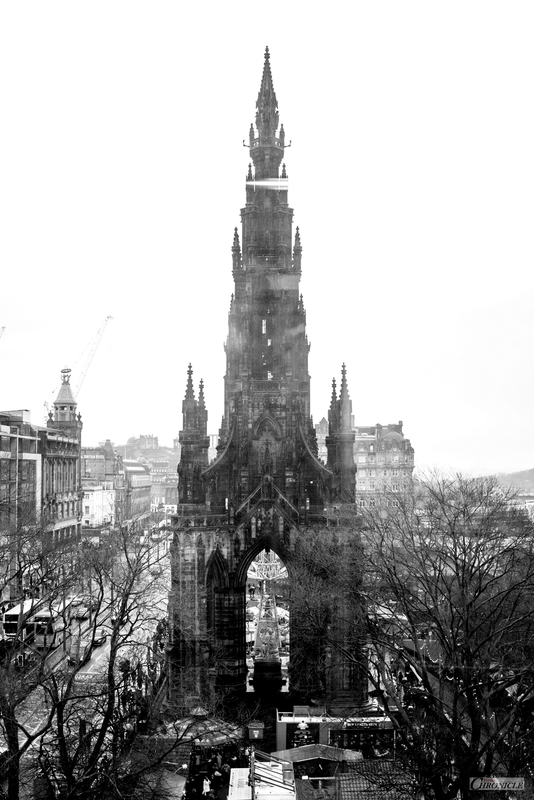 II | Scott Monument, Princes Street | 35mm. Thank you for visiting. If you would like updates, please click Follow. All Images & Posts © 35:Chronicle (2018, 2019) except where specified. No Copying or Redistribution of any kind is permitted without prior consent from the author, unless links to original work is clearly provided.